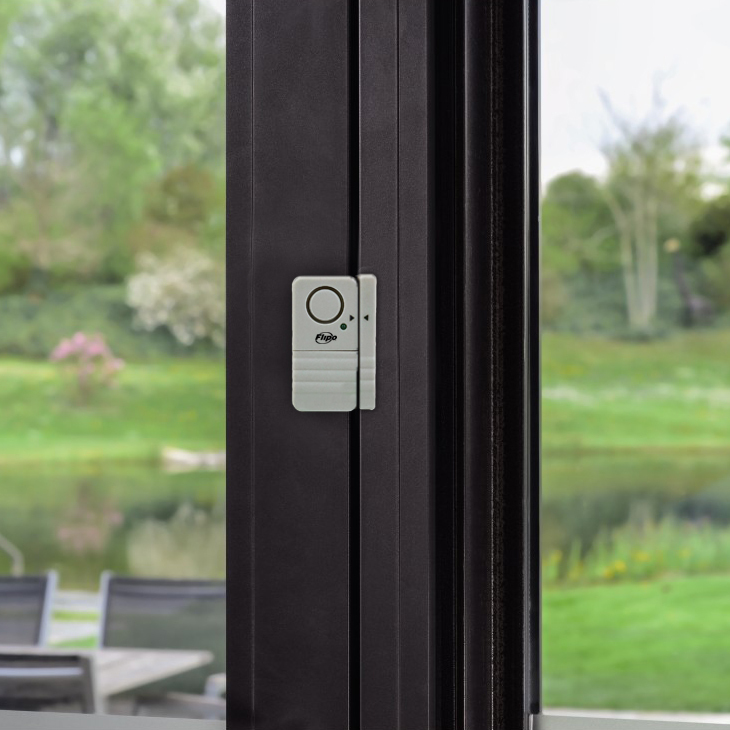 The NEW Flipo Door or Window Entry Guard Alarm is the most effective and cost-efficient way to guard your home or office. It is compact, discrete, and features a powerful 100 dB alarm when activated. 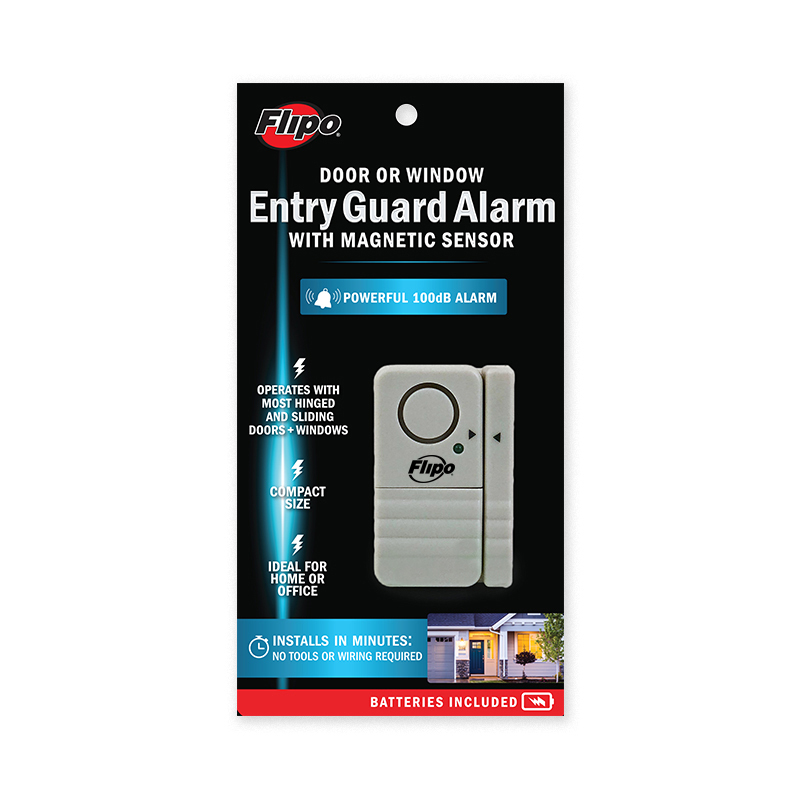 Unlike other alarm systems, Flipo's Entry Guard Alarm installs in minutes requiring no tools or wiring. To install, simply use the adhesive tape provided to mount alarm and magnetic sensor on window, door, or cabinet. The alarm is activated when alarm body and magnetic sensor are separated. Batteries included! Powerful 100 dB alarm sound. Includes strong adhesive tabs for mounting on surfaces. Compact and discrete size. Alarm measures 2.5" X .75" X 1.5". No tools or wiring required. Operates on 4 LR44 batteries (included).